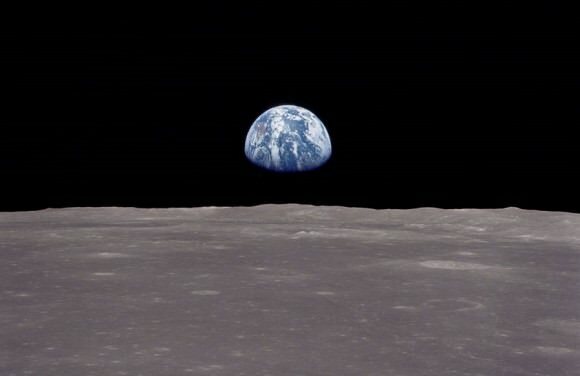 To break it down, the Earth is not a perfect sphere. If it were, traveling in any direction on the planet would yield the same results. Once a person arrived back to where they started, they would notice that they had traveled the same distance, regardless of whether they went north to south, east to west, or in any number of diagonal directions. But Earth is a flattened sphere, aka. 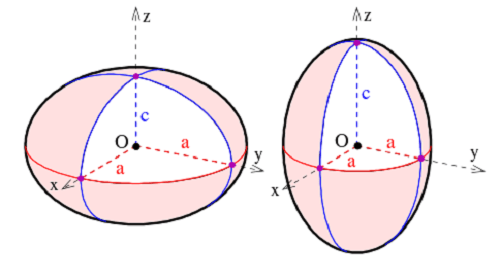 an oblate spheroid. This means that the Earth is flattened along the axis from pole to pole, such that there is a bulge around the equator. This bulge results from the rotation of Earth, and causes the diameter at the equator to be 43 kilometers (27 mi) larger than the pole-to-pole diameter. So depending on where a person traveled from, they would traverse a different amount of km or miles. The belief that the Earth is spherical dates to ancient Greece, with Pythagoras being widely credited for first suggesting it in the 6th century BCE. Though it is not known classical scholars arrived at this conclusion, it has been suggested that travel and trade between the Greek settlements led to variations in the observable altitude and the change in the area of circumpolar stars. In other words, certain stars that were visible in Egypt and Cyprus that were not visible in northern latitudes, such as Crimea. Especially for navigators, these variations in the positions of the stars and the way distant objects disappeared beneath the horizon may have led to the inevitable conclusion that the Earth’s surface was curved. By 240 BCE, Greek astronomer Erasothenes estimated the Earth’s circumference by measuring the angles of the shadows cast by the Sun. Using the differing angles to perform trigonometric calculations, he calculated the circumference to within a 2-20% margin of error. From his point onwards, the circumference of Earth became a scientific matter. During the 17th century, thanks to improvements in instrumentation and the “age of exploration”, the idea of a perfectly spherical Earth was slowly abandoned. The idea was first suggested by Sir Isaac Newton, who calculated that the Earth had to be wider at its equator than at the poles. These observations have been confirmed due to the advent of the Space Age and the ability to use orbital satellites to measure the planet from space. The flattened spherical nature of Earth is reflected in terms of its equatorial and meridional circumference. 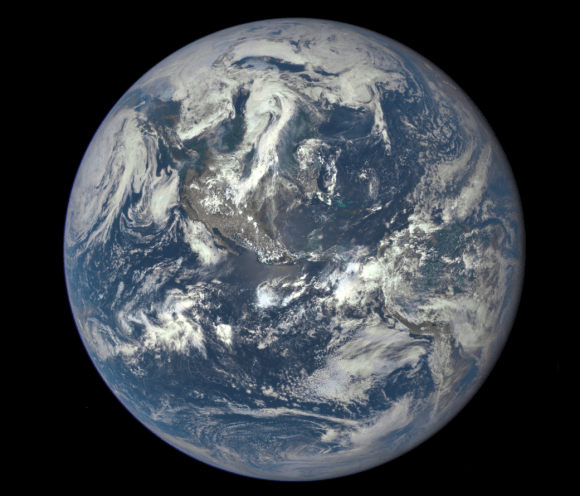 Measured at the equator, the Earth has a circumference of 40,075.017 km or 24,901.461 miles. But measured from pole to pole, that is to say, along the meridian line, the Earth has a circumference of 40,007.86 km or 24,859.73 miles. It is also reflected in Earth’s radius, which differs depending on which latitude it is measure at. If you were to measuring from the center of the Earth out to the equator, you would obtain a radius of 6,378.1 km (or 3,963.2 miles). But if you were to measure from the center of the Earth to one of the polar regions, you would obtain a radius of 6,356.8 km (3,949.9 mi). On a grand scale, this doesn’t amount to much of a difference. And while Earth scientists have meanwhile developed a number of other models that represent the closer approximation of the shape of the Earth, for the most part, it is represented as a sphere. We have written many interesting articles about Planet Earth for Universe Today. 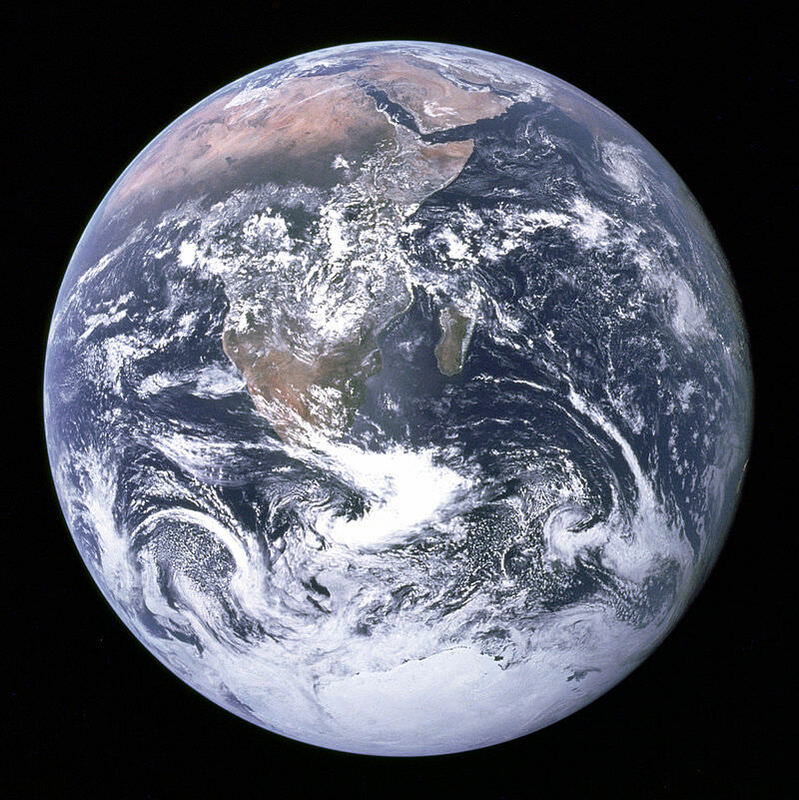 Here’s an article about the Diameter of Earth, one about the Earth’s Rotation, the Surface Area of the Earth, the Temperature of Earth, and How Old Is The Earth?